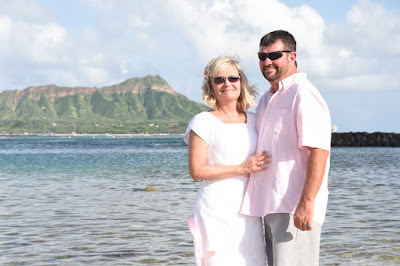 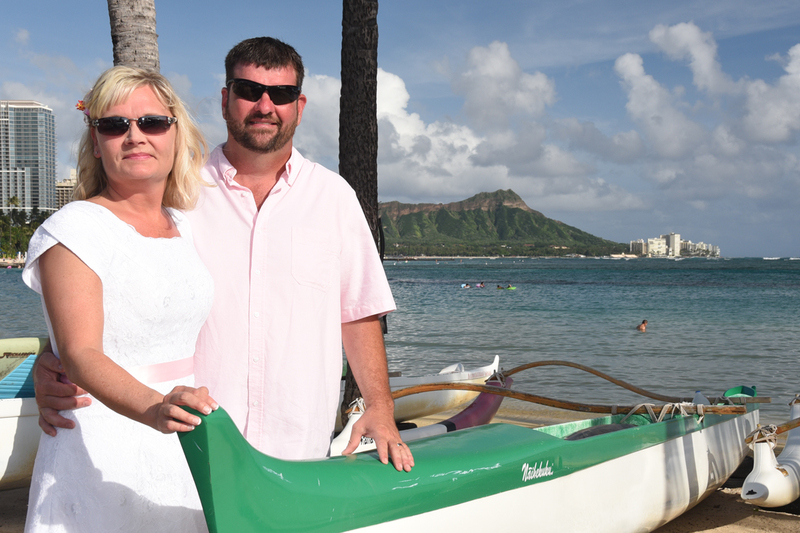 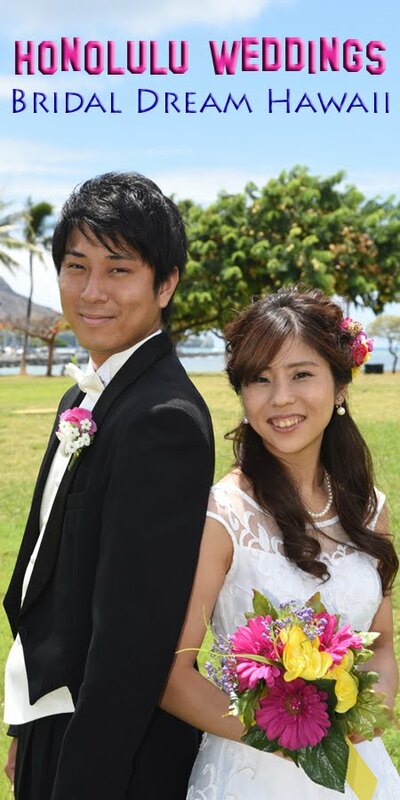 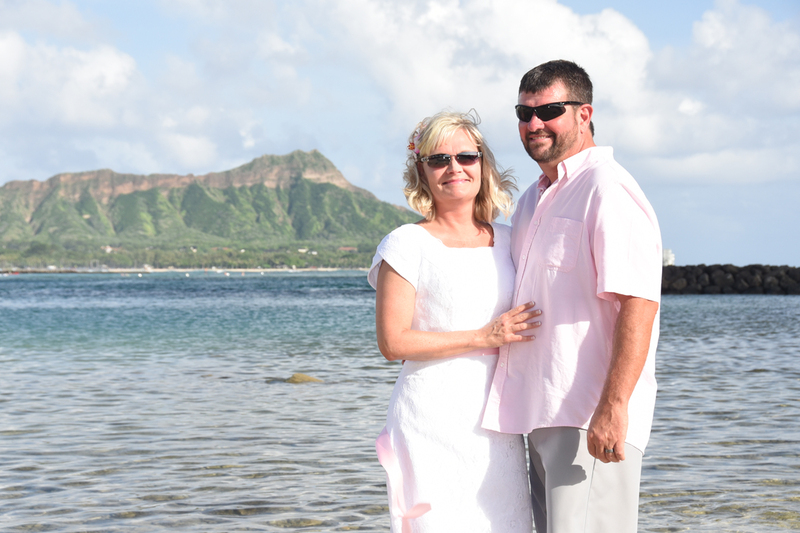 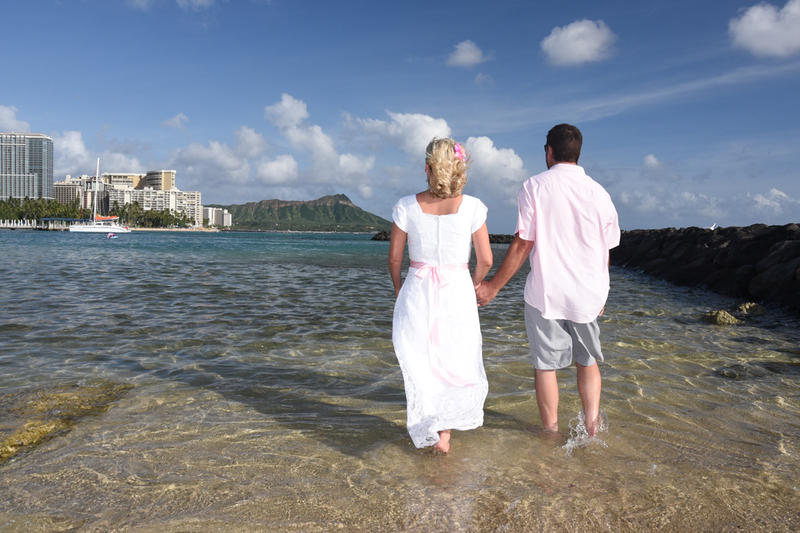 Beautiful wedding photos with Eric & Jennifer at Waikiki Beach. 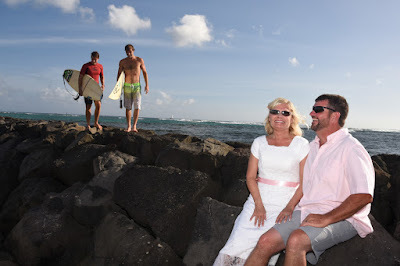 A couple surfers photo-bomb us. 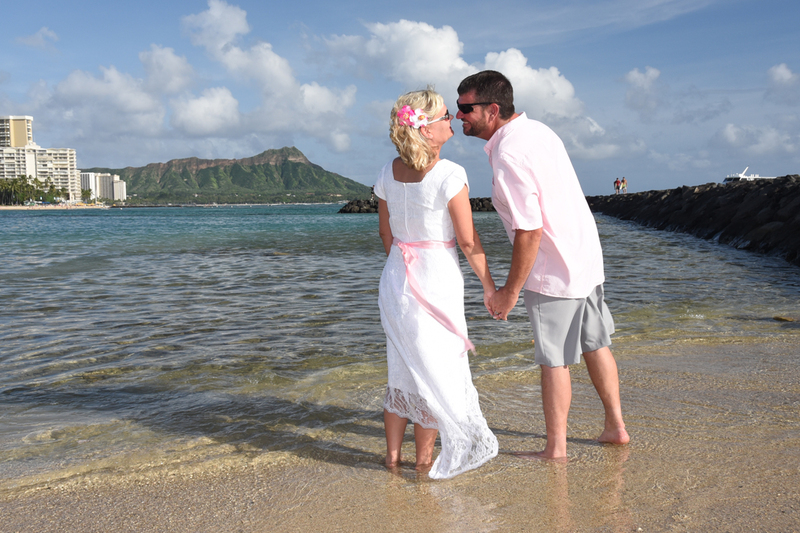 I liked how the shot was going to look so I snapped it quick.